It says quite a lot about Jeremy Johnson Johnson that the strangest thing about him isn't even the fact his mother and father both had the same last name. Jeremy once admitted he's able to hear voices, and the townspeople of Never Better have treated him like an outsider since. After his mother left, his father became a recluse, and it's been up to Jeremy to support the family. But it hasn't been up to Jeremy alone. The truth is, Jeremy" can" hear voices. Or, specifically, one voice: the voice of the ghost of Jacob Grimm, one half of the infamous writing duo, The Brothers Grimm. Jacob watches over Jeremy, protecting him from an unknown dark evil whispered about in the space between this world and the next. But when the provocative local girl Ginger Boultinghouse takes an interest in Jeremy (and his unique abilities), a grim chain of events is put into motion. And as anyone familiar with the Grimm Brothers know, not all fairy tales have happy endings. 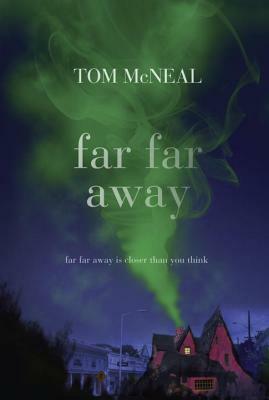 . .
Young adult veteran Tom McNeal (one half of the writing duo known as Laura & Tom McNeal) has crafted a novel at once warmhearted, compulsively readable, and altogether thrilling--and McNeal fans of their tautly told stories will not be disappointed.